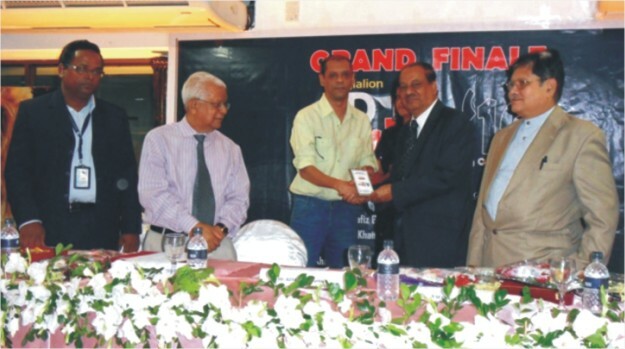 BANGLALION Ad maker 2010, a television commercial competition involving students of the North South University, organised by the Young Entrepreneurs Society (YES) of North South University, was held at the North South University Campus in Bashundhara. Nearly two hundred students, divided into six groups, each group consisting of ten to fifteen teams (three to four members in each team) participated in a workshop for the competition, conducted by Mr. Kaushik De, Executive Creative Director, Interspeed and Mr. M. Muntasir Alam, CMO, Interspeed Advertising Ltd, on October 27. The teams were asked to create visual adverts, limited to sixty seconds, using technology at their disposal. The teams were judged on their creativity, visual effect, concept, uniqueness etc. Six teams were promoted to the second stage of the competition held on November 3 and were through to the finals held on 10 November. The participants were judged by Konka Karim, Assistant Features Editor, New Age, Mr. Abul Basher, Art Director, Interspeed, Mr. Asif Iftekhar Piyash, Creative Director, Interspeed, Mr. Obaydur Reza, Mr. Mahmudul Islam, Mr. K S Fahim, Mr. G M Faruq Khan, Head of Media and Communications, Banglalion, Mr. Mehdi Hussain, Senior Lecturer, North South University, Mr. Bashir Hussain, Senior Lecturer, NSU, Mr. Khondker Galib B Mohiuddin, Lecturer, NSU, Mr. Shahid Hossain, Senior Lecturer, NSU and Mr. Anwar Sadat Shimul, Lecturer, NSU. For the grand finale the six teams were asked to make TVC on Banglalion. The teams did a wonderful job. Mr. Azim Uddin Ahmed, Chairman, Board of Governors, North South University foundation graced the occasion as the chief guest along with Prof. Dr. Hafiz G A Siddiqui, VC, NSU , Prof. Dr. S A M Khairul Bashar, Pro VC, NSU and Mr. Khaled Shams, CEO, Banglalion Comuunications Limited. The judges for the evening were, Mr. G M Faruq Khan, Head of Media and Communications, Banglalion, Mr. Sharjeel Karim, Co Chair and CCO, Interspeed, Mr. Khondoker Sazzadul Karim, Associate professor and Coordinator MBA Programme, Northern University Bangladesh, Mr. Bashir Hussain, Senior Lecturer NSU, Mr. Shahid Hossain, Senior Lecturer NSU and Mr. Khondker Galib B Mohiuddin, Lecturer NSU. In the end, the group Zetro emerged as winners, while the 1st runner up was Stam and 2nd runner up was LCA. The teams were presented with trophies and cash prizes. The event was completed very successfully with the support from the invited guests, faculty members, participants and with all the hard work of the young and energetic members of North South University Young Entrepreneurs Socity.